At the employment law firm of Wrady & Michel, LLC, we are advocates for employees in the Birmingham metro area and throughout Alabama. Our goal is to effectively resolve disputes of all kinds, including those involving discrimination, sexual harassment, whistleblowers, workers' compensation, retaliation, wage and hour, and violations of the Fair Labor Standards Act. 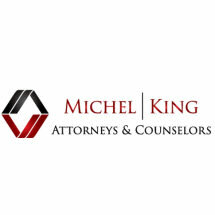 When you choose our employment law firm, you will work directly with one of our attorneys. You will see firsthand our commitment to personal attention, and you will feel as if you are our only client. This is not only because of the personal communication you will receive, but also because we confidently and effectively move your case toward a resolution. We do not see cases as files to be piled on top of desks, but as issues that need immediate resolutions because of how important they are to our clients. At Wrady & Michel, LLC, our lawyers will take the time to learn about your case and to find out what your goals are. We will talk to you about your options, and we will educate you as to which is the most effective choice for achieving your goals. In some cases, settlement may be the path to take. However, we always prepare cases for trial, making certain the case is strongly structured from the very start. Being trial-ready makes negotiation more effective because our opponent can see just how serious we are about getting a positive outcome. Contact our Birmingham employment law firm to schedule a free consultation.